These FSK ratings videos were created to mimic the appearance of the FSK website, using some of their graphics as a guide. We had no examples to base the template on, so this set was created entirely from scratch. The files marked with (3DSBS) are 3D Side-by-side versions of the rating cards, for your 3D movies. 0: Released without age restriction. 6: Released to age 6 or older. 12: Released to age 12 or older and to age 6 or older with parental guidance. 16: Released to age 16 or older. 18: Released to age 18 or older. 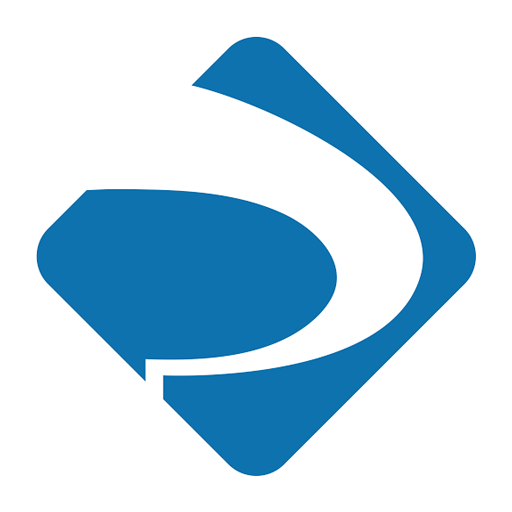 These DEJUS ratings videos were created to mimic the appearance of the DEJUS website. We could find no examples to base this template on, so this set was created entirely from scratch. The files marked with (3DSBS) are 3D Side-by-side versions of the rating cards, for your 3D movies. L: Livre: General Audiences. 10: Não recomendado para menores de dez anos: Not recommended for minors under ten. 12: Não recomendado para menores de doze anos: Not recommended for minors under twelve. 14: Não recomendado para menores de catorze anos: Not recommended for minors under fourteen. 16: Não recomendado para menores de dezesseis anos: Not recommended for minors under sixteen. 18: Não recomendado para menores de dezoito anos: Not recommended for minors under eighteen. 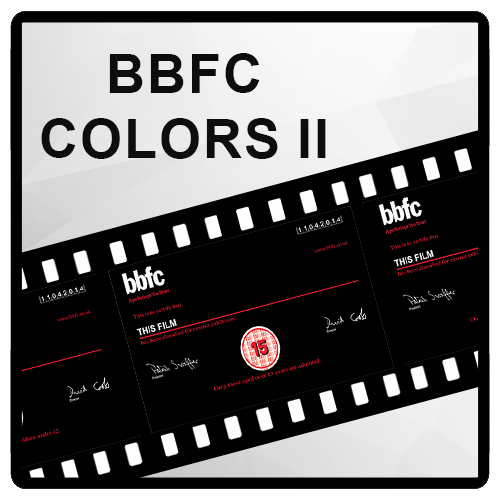 These BBFC ratings videos mimic the style that has been used by the BBFC since 2013, but some of the elements have been moved, featuring colored text and a large rating logo that makes it easy to identify the rating of the film. The files marked with (3DSBS) are 3D Side-by-side versions of the rating cards, for your 3D movies. U: All ages admitted, there is almost nothing unsuitable for children aged over 3. PG: All ages admitted, but certain scenes may be unsuitable for young children. 12A: Suitable for children under the age of 12 years if they are accompanied by an adult, aged at least 18 years. 12: Suitable only for persons aged 12 years and over, not to be supplied to anyone below that age. 15: Suitable only for persons aged 15 years and over, not to be supplied to anyone below that age. 18: Suitable only for persons aged 18 years and over, not to be supplied to anyone below that age. R18: Can only be shown at licensed adult cinemas or sold at licensed shops. 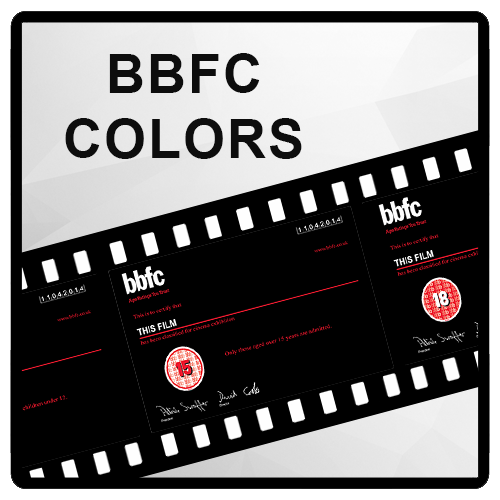 These BBFC ratings videos mimic the style that has been used by the BBFC since 2013, featuring colored text and a large rating logo that makes it easy to identify the rating of the film. The files marked with (3DSBS) are 3D Side-by-side versions of the rating cards, for your 3D movies. 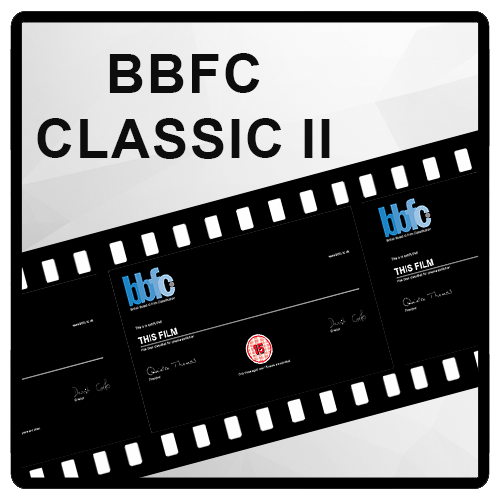 These BBFC ratings videos mimic the style that was used by the BBFC before the change to the new style in 2013, but some of the elements have been moved, featuring a large rating logo that makes it easy to identify the rating of the film. The files marked with (3DSBS) are 3D Side-by-side versions of the rating cards, for your 3D movies. These BBFC ratings videos mimic the style that was used by the BBFC before the change to the new style in 2013, featuring a large rating logo that makes it easy to identify the rating of the film. The files marked with (3DSBS) are 3D Side-by-side versions of the rating cards, for your 3D movies. 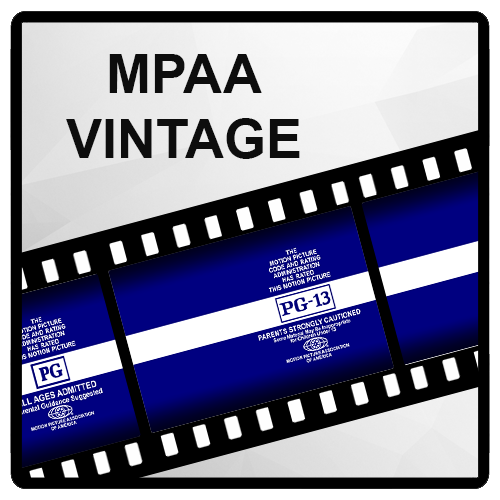 These MPAA ratings videos mimic the style that was used by the MPAA before 1975, featuring a white band on a blue background, with an easily identifiable rating embedded into the band. The files marked with (3DSBS) are 3D Side-by-side versions of the rating cards, for your 3D movies. G: All ages admitted. PG: Parental guidance suggested. Some material may not be suitable for children. PG-13: Parents strongly cautioned. Some material may be inappropriate for children under 13. R: Restricted. Under 17 requires accompanying parent or adult guardian. NC-17: No one 17 and under admitted. NR: This film has not yet been rated. These MPAA ratings videos mimic the style that was used by the MPAA before 1980, featuring a colored rating specific border that makes it easy to identify the rating of the film. The files marked with (3DSBS) are 3D Side-by-side versions of the rating cards, for your 3D movies. 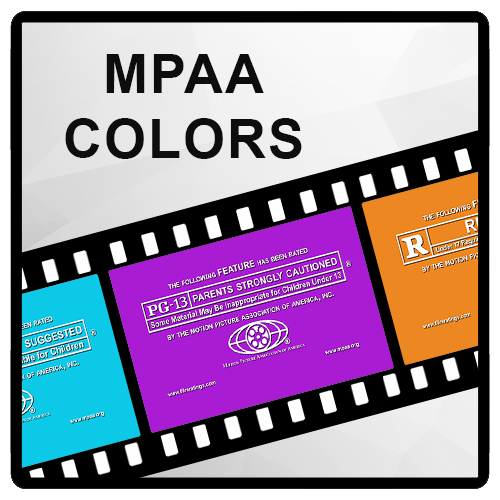 These MPAA ratings videos mimic the style that has been used by the MPAA since the early 1980's, featuring a colored background that makes it easy to identify the rating of the film. The files marked with (3DSBS) are 3D Side-by-side versions of the rating cards, for your 3D movies. 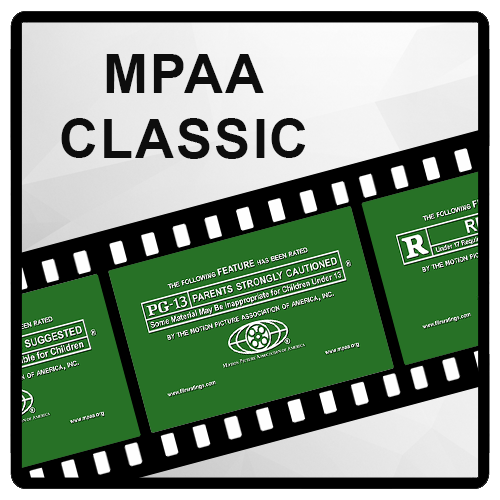 These MPAA ratings videos mimic the style that has been used by the MPAA since the early 1980's, featuring a classic green background. The files marked with (3DSBS) are 3D Side-by-side versions of the rating cards, for your 3D movies. 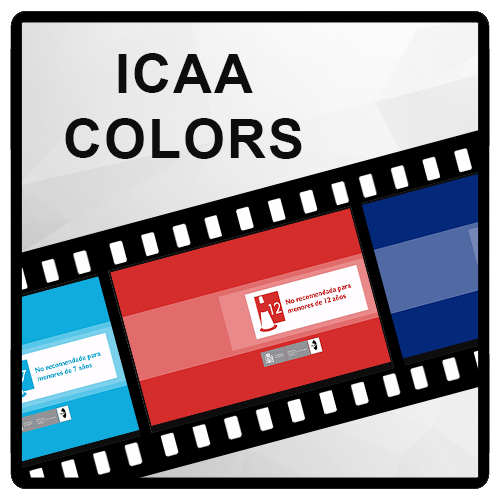 These ICAA ratings videos were created by cobox, and feature colored backgrounds and a large rating logo that makes it easy to identify the rating of the film. The files marked with (3DSBS) are 3D Side-by-side versions of the rating cards, for your 3D movies. A: Apta para todos los públicos. | Suitable for all audiences. 7: No recomendada para menores de siete años. | Not recommended for children under seven years of age. 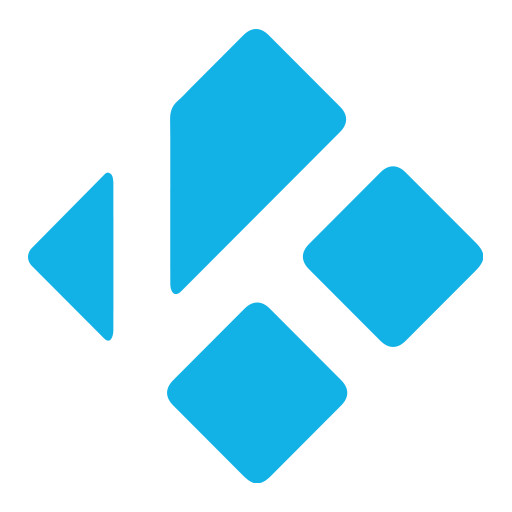 12: No recomendada para menores de doce años. | Not recommended for children under twelve years of age. 16: No recomendada para menores de dieciséis años. | Not recommended for children under sixteen years of age. 18: No recomendada para menores de dieciocho años. | Not recommended for children under eighteen years of age. X: Película X prohibido el acceso a menores de dieciocho años. | Forbidden access to under eighteen years of age.